Our Multisport ‘Oceans and Mountains’ is our most popular adventure program and for good reason…it has it all! In the first 3 days we will Horseback ride to the Caribbean Ocean through the foothills of the beautiful Escambray Mountain range, Snorkel pristine coral reef ecosystems, Hike ancient coral cliffs, Rock climb suspended above aquamarine waters of the Caribbean Ocean and glide on top of these waters on Stand-Up Paddleboards. That is the warm up! 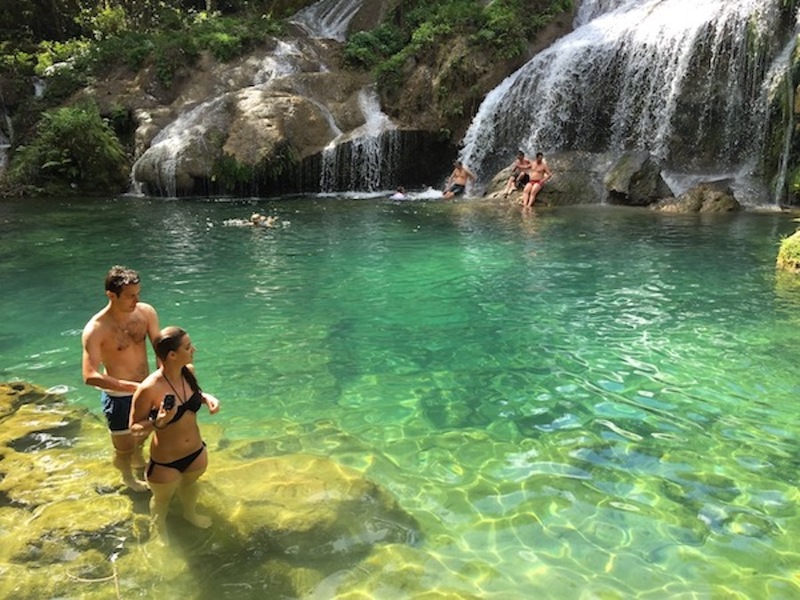 We will then row in to the largest flock of Flamingos in the Caribbean, Bike through the streets of Cienfuegos and then head to the lush tropical Escambray Mountains an experience that will stay with you forever. Truly, the pinnacle of the trip! We will immerse you in the true flavours of Cuba by staying in Casas and eating at private restaurants so that you get to know the real Cuba, beyond the beaches. Join us on this once in lifetime adventure that is sure to fill all your senses and leave you wanting more. KEEP IN MIND! THIS TRIP HAS AN OPTIONAL 2 DAY EXTENSION! This extension is for groups of 6 or more. Please contact us if interested. Arrive at Santa Clara International airport. You will be welcomed just outside the airport by your Cuban guide and professional bus driver. Exchange your money into the local Cuban currency (C.U.C.). Lunch on the first day is the only meal not included in your trip cost. If your flight arrives in time for lunch, we will arrange a great meal for you. 2hr. bus ride to Villa Guajimico. This resort is perched on top of ancient coral cliffs overlooking the ocean. 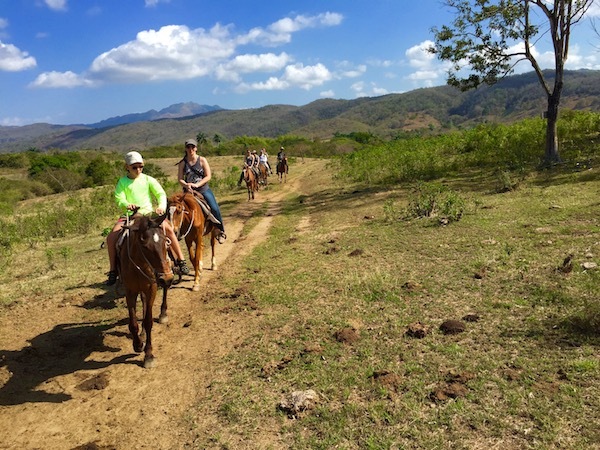 Horseback ride through the rolling hills of Cuba’s central mountain range on route to the turquoise waters and isolated private beach. Cool down in the ocean with a refreshing swim and relax on the beach. Circle back to our starting point for lunch at La Vega restaurant. Bus back to Villa Guajimico. 4:00-6:00pm Paddle Boarding and Snorkeling. 7:30pm Dinner at Villa Guajimico restaurant. 9:30pm meet at outdoor bar to learn Latin dances by Cuban dance instructor. 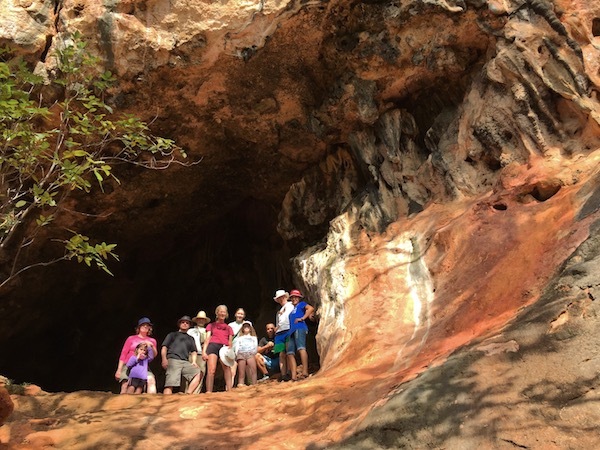 Bring a small day pack to carry a bagged lunch, snorkeling gear, towel, swim suit, climbing items, flash light / head light, sunscreen, hat and plenty of water. 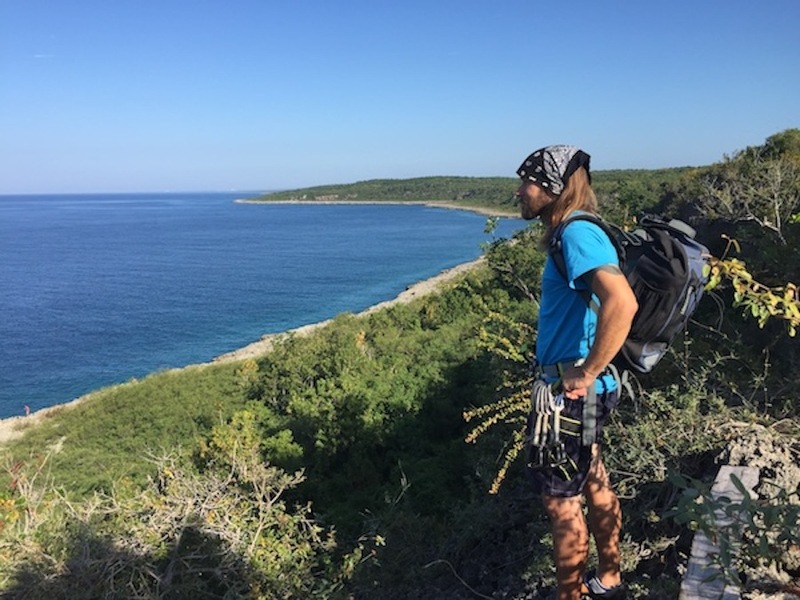 Hike takes approximately 45mins – 1hour across the tops of ancient coral cliffs and through a jungle valley arriving at Paradise Beach. 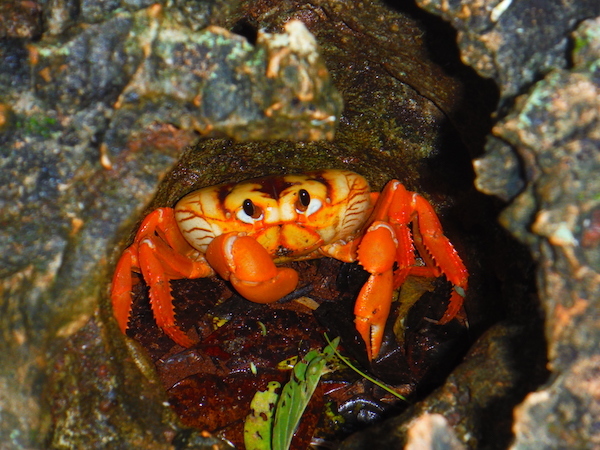 Enjoy world class snorkeling, rock climbing (don’t worry we have the gear and expertise! ), swimming and relaxing on the beach. Lunch with prepared bagged lunch. 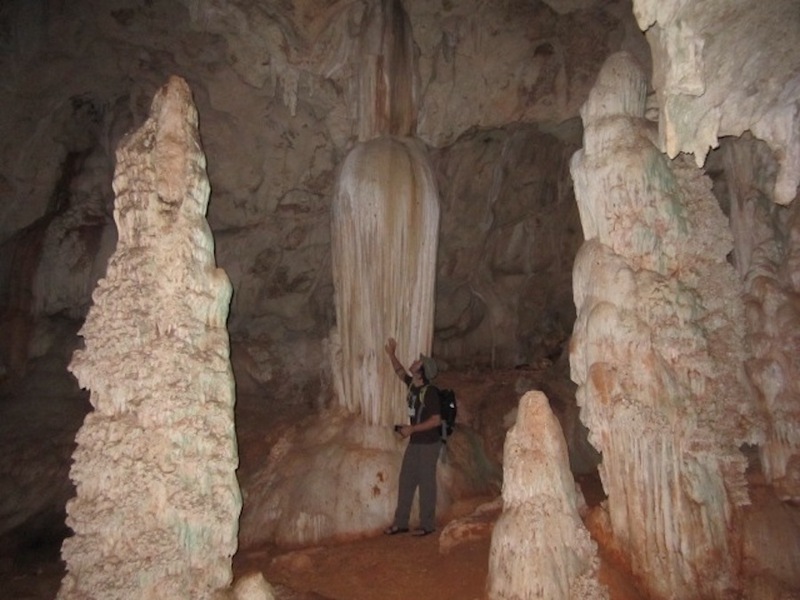 After lunch, hike back a different route through a majestic cave system. The trail winds its way back to Villa Guajimico. Swim in the pool and/or relax before we depart to Cienfuegos for two nights. 8:00am Breakfast at our Casa. Cienfuegos city is one of the prettiest cities in Cuba and shows signs of French and Spanish influences. After breakfast shuttle to Guanaroca lagoon, the largest natural Flamingo Reserve in Cuba for a row boat tour of this protected area. Lunch at Rancho Cristal, a private family restaurant overlooking Cienfuegos Bay. 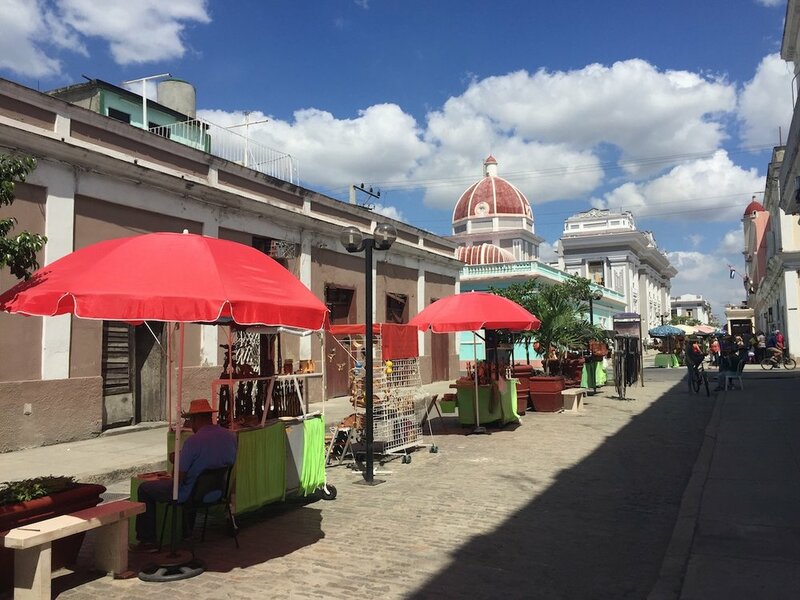 After lunch, return to Cienfuegos City and hop on bikes to explore the city square, market place and the seaside malecon. Bike tour will take approx. 1.5 hours before returning to casa for dinner. After breakfast, pack for over-night Mountain lake adventure. Bus through the Mountains and villages to Lake Hanabanilla. ** You will be provided with a foam mattress, fresh linen, and wool blanket. You are welcome to bring a light sleeping bag and travel pillow. We recommend you bring warm clothes for this experience as it gets cool in the mountains at night. ** Please bring a day/overnight pack (dry bags also recommended) that can accommodate warm clothes, bathing suit, pillow, toiletries, snacks, towel for above activities. 4 by 4 Russian mountain truck tour of Escambray Mountains. ** Dress warm for the truck ride in the mountains. Visit mountain coffee house and botanical tea shop. Lunch will be at a private restaurant or mountain market place for a light lunch in the community. 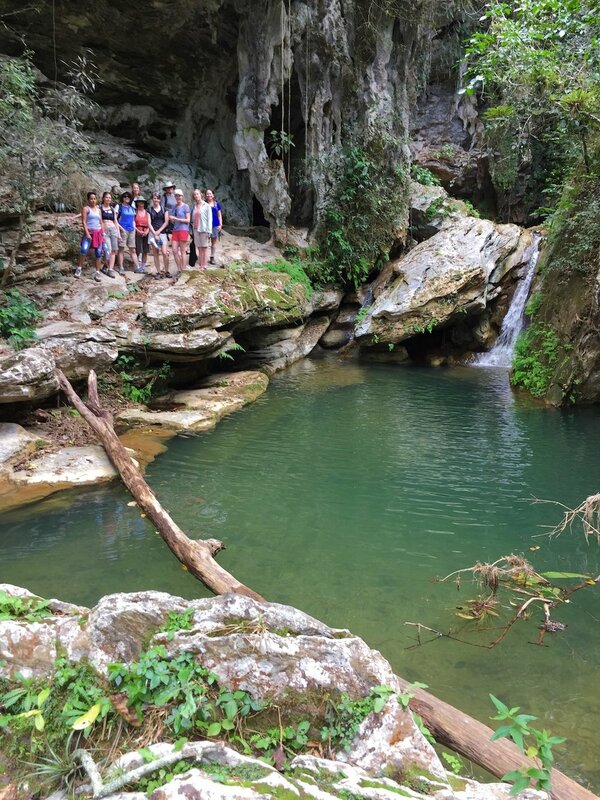 2-3hr Jungle hike and swim into a hidden cave system and waterfall. 7:30pm dinner at Trindada Casa. Round trip Catamaran cruise approximately 18km south of Trinidad to a remote island named Cayo Blanco. Snorkel, swim and walk the beaches of this 2km long island. Tour of old Trinidad City, a UNESCO world heritage site. 7:30pm final dinner at Vista Gourmet. ** Last night on the town enjoying music and dance. After breakfast, enjoy free time until you head to Santa Clara International Airport via a private shuttle. Have a safe flight home and we hope to see you again on another Cuba Adventure Company get-a-way. Extend your Cuban adventure to include 2 days in Old Havana! Experience the Cultural dichotomy that makes Havana one of the most unique cities in the world. A fusion of Food, Music and Art that will leave you wanting more. We will explore this eclectic city by foot, on bikes or of course classic cars. IMPORTANT: This extension is for groups of 6 or more. Please contact Cuba Adventure Company if interested. Airfare to and from the country where your trip takes place. Health and accident insurance valid for length of your chosen trip in the country where your trip takes place. Cuba can be a challenge. Often things don’t go as planned. Flexible travelers with a sense of humor consider it part of their Cuban adventure. 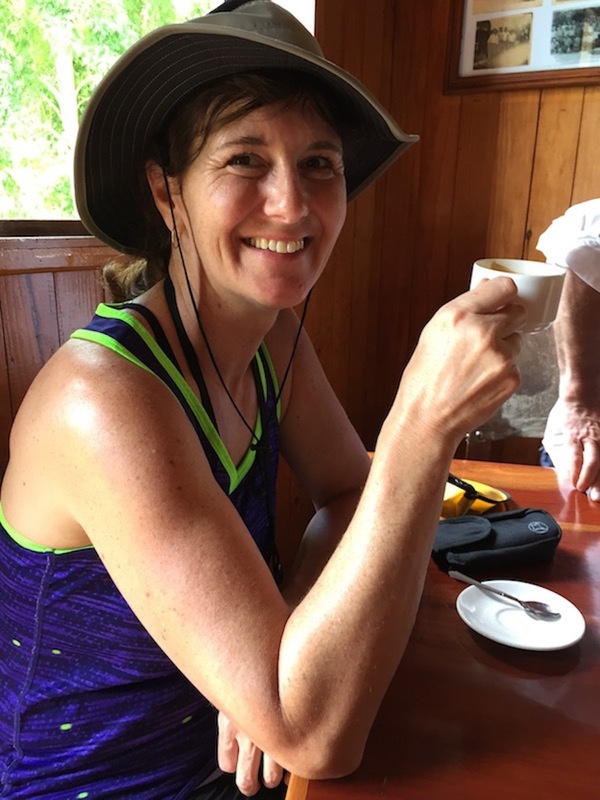 Our Cuban partners work super hard to make your tour unfold seamlessly, but sometimes itinerary changes happen in light of hardships on the island.